Binding is attached to the Granny Squares. Binding is prepped for the Unnamed Baby Girl Quilt. Both will be done by this afternoon, so I'm counting them as out. 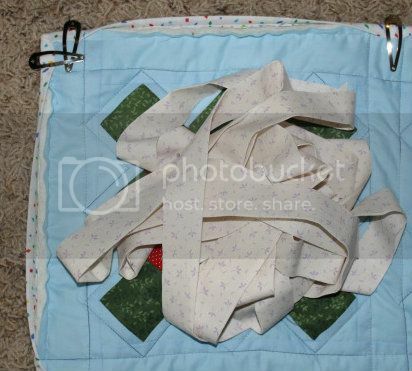 I purchased the backing for Granny, but the binding for both came from my stash. So, woo! Numbers are going in the right direction!